Fails from all games accepted! why would you be unwelcome here? i don't see any reason why anyone should be unwelcome unless they're in for no good. How much more? A few hundred more than a next gen will both get you a superior gaming system AND a very fast PC for non-game stuff too. It's a two-in-one device that costs far less than console gamers like to think. It's a good if not better value in the long run. I don't get that. It doesn't have the stutter anymore. No one I know playing it has that. It still runs better than the console version that hovers around 25 fps and tanks lower in intense situations. The music fit so well..
so i got 120 fps.. -.-"
Some people would have you believe? My room mate has it on 360 I play it all of the time. I'm the exact same as you buddy. Well I guess I'm unwelcome here…with me playing on both pc and xbox 360, with a slight preference to xbox. The only reason that's true is because I don't have a great pc. And I can't totally justify paying that much more for a great pc. 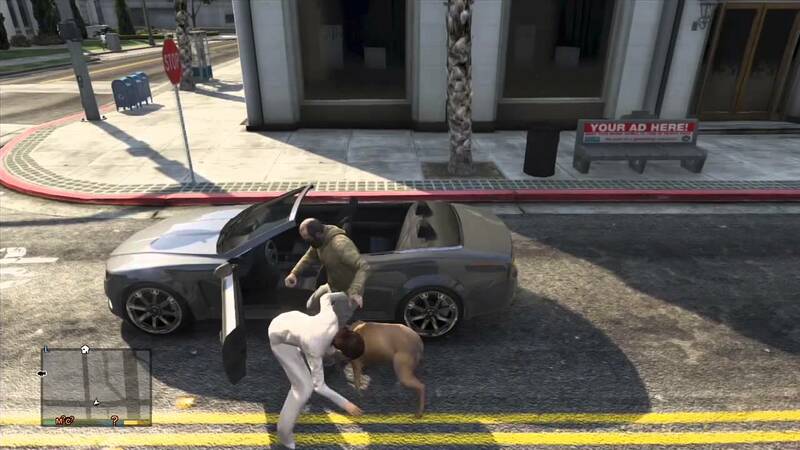 Its good to see Evil Underdog has made an appearance in GTA V.
Getting used to a certain controller with certain controls ain't that hard. I got used to Xbox and PS controller pretty well and quickly. And yes, I barely see a difference in FPS and resolution, and I HAVE experienced with PC games FYI. Okay if you think MORE THAN double the FPS and resolution is small and unoticeable and that having the option to use whatever control method works best in ALL scenarios isn't a big deal You're hopeless.